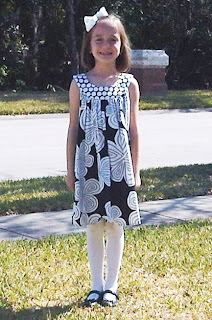 Miss Madeleine from Tampa, FL loves her new Sleeveless Yolk Dress by Mis-Tee-V-Us from CWDkids! See all of our Mis-Tee-V-Us clothing here. 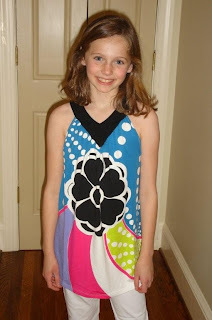 Her mom says that "Madeleine was so excited to receive the CWDkids package in the mail and couldn't wait to try it on! She loves the design and color of the dress. I think the neckline is precious and the dress can go with leggings, tights, or without anything under and it still will be cute. It was such a nice day yesterday so she wore it for her school picture. " We think you look great Madeleine, Happy Spring! If you would like to send a photo of your children wearing CWDkids clothing, we would love to see them! Please email us your high resolution photos to cathywdaley@cwdkids.com. We sent a great 1 day only shipping savings offer today to our email subscribers....are you signed up to receive CWDkids promotional emails? If not, sign up now! We send weekly emails alerting our customers to sales, coupon codes, contests and giveaways, new merchandise and much more! Plus, when you sign up you'll be entered to win $100 in CWDkids clothing! Just answer a couple of quick questions and you wont ever have to miss out on a special offer again. 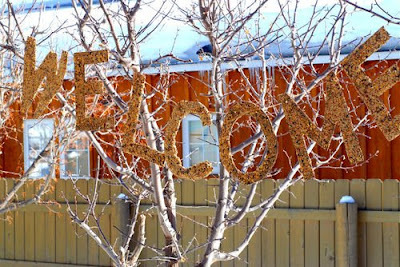 We love this Welcome Birds! bird feeder idea from Full Circle. It's such a sweet way to enjoy your backyard friends again as spring slowly approaches. If you are looking for a rainy day, or home-from-school project for the kids, click here for several bird feeder ideas from The Crafty Crow. Kids will love that they can create these feeders themselves, with a little help, and then watch the birds enjoy the "fruits" of their labor. It's cool to be green! You can help benefit the environment by wearing one of our new 100% certified organic cotton tee shirts from Mulberribush. Mulberribush recently announced their "green initiatives" for 2009. "...the idea of changing to organic cotton started with a new collection with an environmental theme we designed for spring 2009. We tested organic cotton for washability, softness and quality. It is a great product. Although organic cotton is more expensive, the benefit to the environment is incredible. As a children's clothing company we have a responsibility towards our consumer's (the children) future, to keep the world cleaner." - Susan Feinberg, Head Designer & Owner, Mulberribush. CWDkids is happy to support the use of environmentally friendly materials and organic farming techniques. 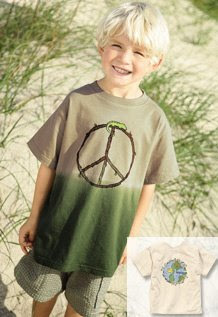 Choose from our selection of an earth-friendly peace sign to billiards or soccer balls prints. See all styles Here. $17.99 Rash Gaurds - 3 Days Only! Our best selling Rash Guards are only $17.99 for 3 Days! 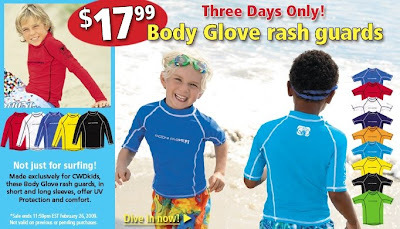 Body Glove long or short sleeve rash guards offer UV protection and comfort. Lions and tigers and bears? Oh My--Zoo animal screen prints and designs never seem to go out of style, so we continue to bring them back! Each season we add updated styles to our line and the kids keep going bananas for them! 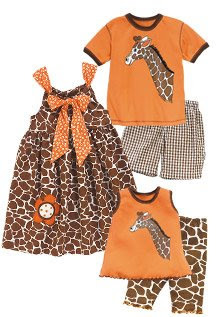 All of our animal prints seem to capture the imagination of children everywhere. From pandas, to giraffes, to a zebra print, girls and boys are crazy for cuddly (and yes, slimy) creatures. Read this delightful blog post about about some creature crazy kids who became friends because of their animal print CWDkids outfits! Today's Schedule: Pirates & Skulls! It's a pirates life for me! Buried treasure, ship battles, and life on the open ocean? Sweet! 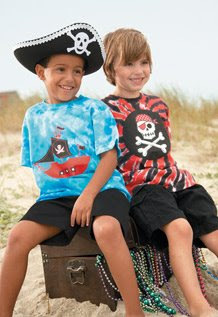 Pirates, pirate ships, and skulls are without a doubt a style trend for boys. Boy's will have so much fun getting "into character"when they sport these colorful screen prints and patterns. X marks the spot with this fun filled theme. This is what they want to wear! Shop CWDkids collection of exclusive pirate booty to fill his treasure chest here! Girls can keep up with the latest trends in the "legging look". Stretchy tunics, elastic smocked tops, or a cute mini dress with a pair of matching capri leggings is all they need to accomplish this popular, comfortable style. What's more comfortable than a pair of elastic waist leggings in stretch fabric? Mix and match colors for easy-to-wear outfits (makes the morning decision a bit easier as well). This look is perfect for warm days at school, birthday parties, or strolling the boardwalk. Either way, they will stay cool and comfortable in these sweet ensembles. See CWDkids Legging Set Collection here. It's that time of year again, when the worlds most influential designers come together to exhibit their hottest designs during New York Fashion Week. We decided to follow suit and give you a glimpse of the trendiest styles for kids this season during CWDkids Fashion Week! Come back each day this week for the latest styles in children's wear. Girls love, love, LOVE this look and comfortable style. History repeats itself with these retro geometric patterns. Bold, bright, and comfortable fabrics are what is in! The look is age appropriate with hint of sophistication, and the fluid flowing fabric is super comfortable to wear during any occasion. The Bubble Dress is a perfect example of this fun style and flowing fabric. Check out CWDkids collection of bold prints for your little fashionista here. CWDkids was born in the USA and so was this huge selection of unique outfits! 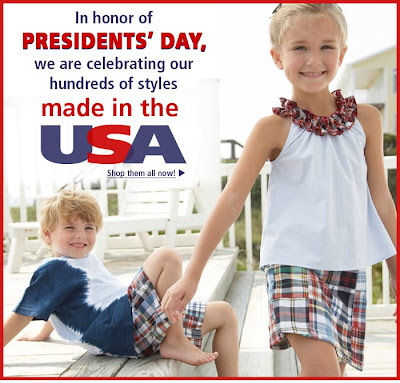 Celebrate President's Day by shopping hundreds of children's styles Made in the USA! This year, teach them that Presidents' Day is more than just a day off from school with these titles about White House life and the 44 leaders who have held the job. Click Here for the Cookie Magazine top book picks, appropriate for kids ages 4-12. 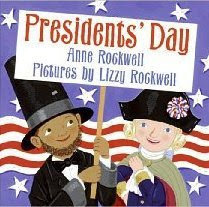 From fun presidential theme stories that younger children will enjoy to, to a complete history of each of our nations presidents, there is something for every child's eager mind. Ralph Lauren Sale Up to 50% Off! 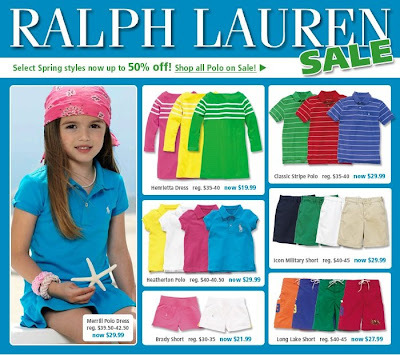 Click Here for select spring Ralph Lauren styles now up to 50% Off! Take advantage of these great savings while they last! OK, this is the greatest idea! Have you ever wondered what to do with all the precious artwork your child brings home from school? Most parents start an art wall, or tack their favorite pieces up on the fridge, but what happens when the art wall becomes a little too cluttered and you just can't bear to throw a single piece out? 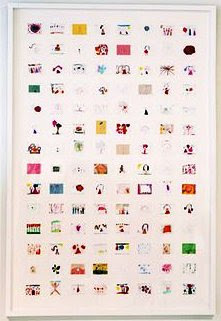 Check out this fabulous idea from Tutus & Turtles about how to create an whimsical art compilation piece that you can hang in any room. You'll preserve the childhood memories and want to pass this along when they are all gown up! The Style Scene - How Old Are You? 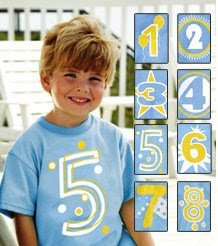 Kids will be so excited to proudly display their age in these comfy, cotton "number" tees made exclusively for CWDkids! These unisex tee shirts make a wonderful birthday gift and kids will love the fun screen-print number especially for them. Speaking of birthdays....have you signed up to receive special birthday discount emails? If you already receive emails from us, click here to register your little ones for a special treat during their birthday month. If you would like to sign-up to start receiving promotional emails from CWDkids including the birthday discounts, click here. 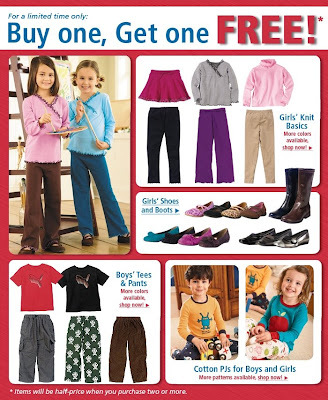 Buy One Get One Free offer applies only to these select items. You must purchase two of the same style number to receive special pricing. Take advantage of this awesome deal while it lasts!! Here's another sweet customer photo of Sister and Brother, Macy and Jake. Macy and Jake's mom says: My kids love to match outfits because they get lots of comments from other people that they are cute! Madras is a spring staple at CWDkids. See our current spring Madras outfits Here. Don't forget--we specialize in family matching outfits-- check out our new spring line! Send us your CWDkids photos! Email your high resolution photos to cathywdaley@cwdkids.com. 18 Swimsuits at 30% Off! Check out our Big Pre-Season Swim Sale! Jump on these savings now and get ready for warmer weather, prices are reduced for a limited time only! This customer photo was sent to us of Nathalie wearing her V-Neck Flower Power Tunic from Flowers by Zoe. Nathalie's mom says that she absolutely LOVES this top! Bold floral patterns, bright colors, trendy tunic style, and comfortable fabric...honestly, what is not to love? Girls will get so excited for spring in this retro top. If you like this top, check out the t-shirt dress with matching pattern! 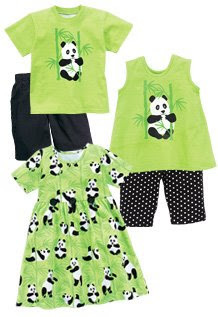 This cute Panda print has been a "Giant" favorite this season at CWDkids. Our Brother and Sister collection is Made in the USA and can be found exclusively at CWDkids. All of our animal prints seem to capture the imagination of children everywhere. From dogs to giraffes to a zebra print, kids are crazy for cuddly creatures. Our panda collection may not be on the endangered list, but you should buy now before they disappear! For tons of fun animal facts and activities to share with your children, visit National Geographic Kids. 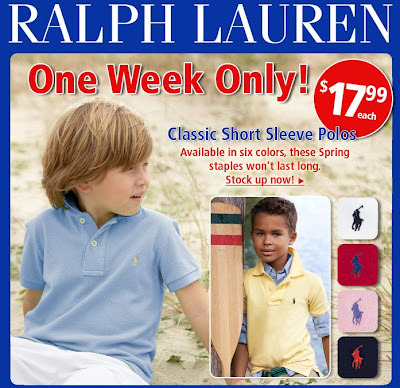 One Week Only - Ralph Lauren Classic Short Sleeve Polos are only 17.99! Take advantage of this fabulous price this week only and stock up for Spring--available in 6 colors!